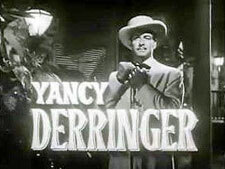 Yancy Derringer: Mystery and Suspense on Television. 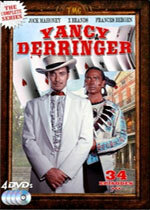 Jock Mahoney stars as gentleman adventurer Yancy Derringer in post-Civil War New Orleans, who is secretly a special agent assigned to protect the city against threats to its security. The series, which aired for one season on CBS from October 1958 through June 1959, is based on a 1938 short story by pulp novelist Richard Sale featuring the character.